Slovakia Crisis Grows as President Nixes Proposed New Government - Integration Through Media ....! (VOA): Slovakia’s president on Tuesday rejected a proposal for a new government amid a political crisis triggered by the killing of a journalist and his fiancee. Prime Minister Robert Fico’s three-party coalition resigned last week following street protests in the wake of the slayings, which shined a light on possible government corruption. President Andrej Kiska asked Fico’s deputy prime minister, Peter Pellegrini, to form a new government. 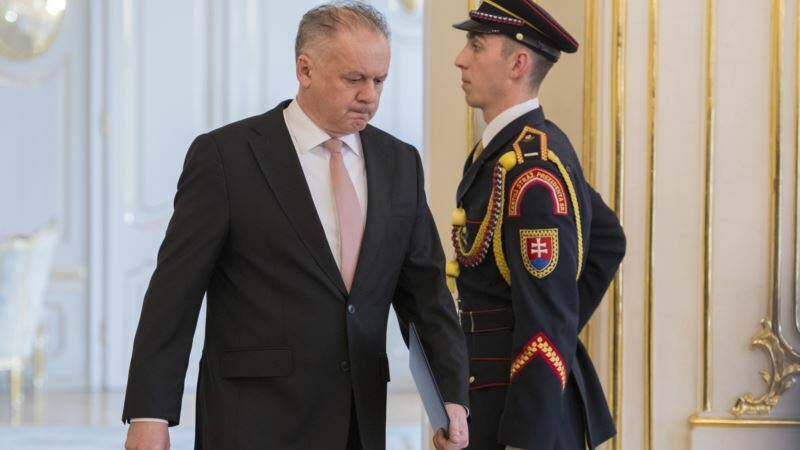 But Kiska rejected Pellegrini’s proposal, which involved the same three parties that were in the previous government.Kiska said that tensions in Slovakia wouldn’t be calmed by the offer, and gave Pellegrini until Friday to come up with a better plan. Pellegrini said he would make a new proposal as soon as Wednesday. The president said the proposed interior minister, Jozef Raz, was a problem because of his ties to his predecessor, Robert Kalinak, who was previously linked to corruption scandals. Before he was slain, Jan Kuciak was reporting on alleged Italian mafia ties to associates of Fico and corruption scandals linked to Fico’s leftist Smer-Social Democracy party. Kalinak is Fico’s close ally in the party. Tens of thousands of demonstrators have rallied repeatedly across Slovakia since the bodies of Kuciak and Kusnirova were found on Feb. 25, in the biggest anti-government protests since the 1989 anti-communist Velvet Revolution.